Overall Operating Height - Fully Raised: 186.8 in. Height to Hinge Pin - Fully Raised: 144 in. Overall Height to Top of ROPS: 82.0 in. Ground Clearance to Chassis: 7.3 in. Overall Length with Bucket: 158.5 in. Overall Length without Bucket: 121.5 in. Dump Reach - Fully Raised: 39.5 in. Rollback at Ground: 31 deg. Clearance Circle - Rear: 70.5 in. Clearance Circle - Front without Bucket: 50.8 in. Clearance Circle - Front with Bucket: 88.5 in. Seat to Ground Height: 41.2 in. Rollback at Specified Height: 100 deg. Rated Operating Capacity: 4,200 lb. 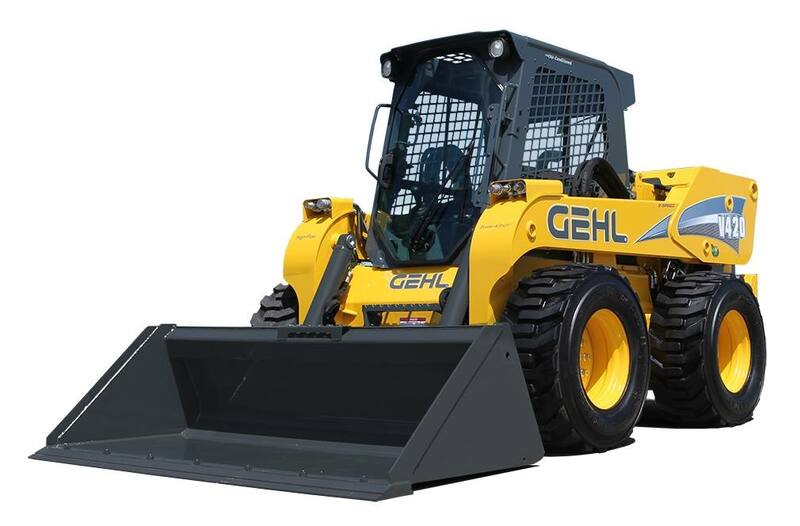 The Gehl V420 skid loader is a shining example of Gehl's superior innovation and well thought-out product development. 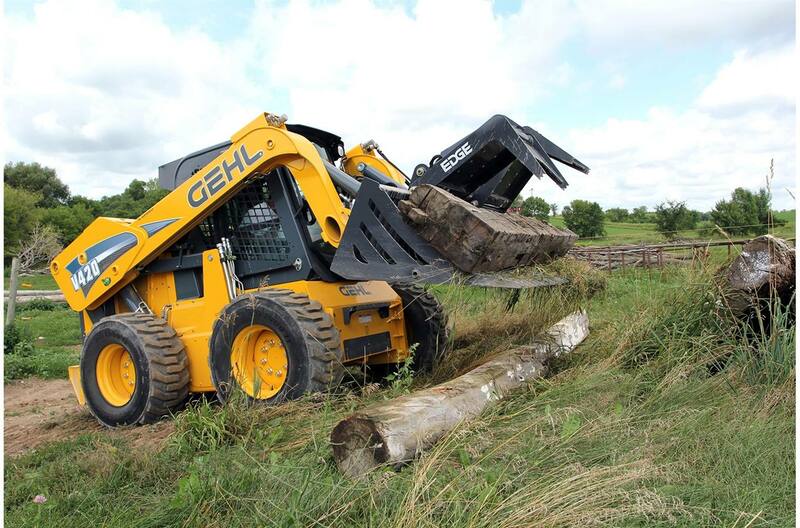 The operator's compartment on the V420 skid loader provides a safe and comfortable working environment for operators of all sizes. Standard Hydraglide™ ride control system allows the lift arm to “float" when transporting loads, minimizing loss of material, and increased operator comfort. 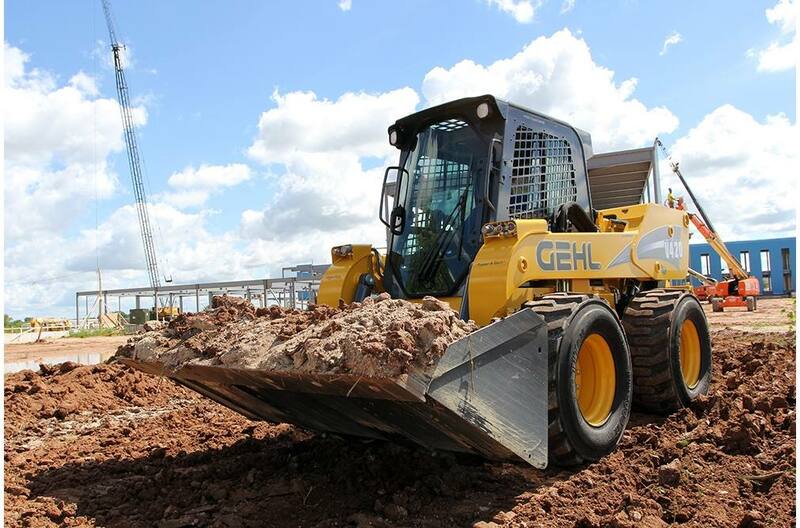 A full line of Edge attachments and accessories are designed specifically to fill operators' needs, making their V420 the most versatile machine on the job site. Popular attachments are listed below.